But pollinators are endangered by assaults from toxic chemicals, disease and parasitism. Their defenses are down because so many have been taken from their natural habitat and shipped around the country to service industrial agriculture. 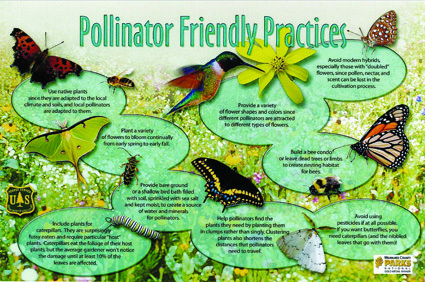 This issue of The Natural Farmer is an effort to help by first educating our members about their amazing work and lives, and then by suggesting ways to help – planting so that pollinators have food throughout the season, creating structures and materials which offer them attractive nesting sites, eliminating use of substances which harm these animals, and leaving them to enjoy at least some of the fruits of their labor. We hope it inspires you to consider how pollinators function in your farm, garden or landscape and ways you might encourage them to thrive.